DVD Now Available! Streaming coming Soon! 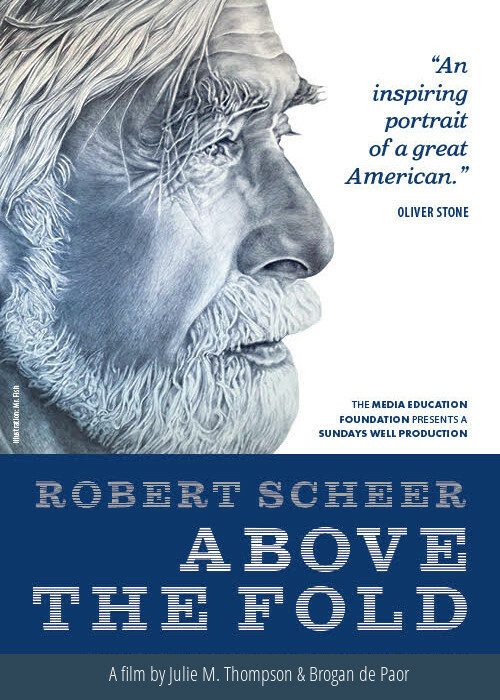 Robert Scheer: Above the Fold profiles legendary activist and journalist Robert Scheer, reminding us that journalism, at its best, is about pursuing the truth at all costs. The film traces Scheer’s career trajectory across dramatic shifts in journalistic practice and platforms, offering a glimpse into the myriad pressures that confront journalists who refuse to compromise their principles and instead commit themselves to speaking truth to power. At a time when debates about “fake news,” “filter bubbles,” and the dumbing down of commercial news media have moved to the center of mainstream discussion, Robert Scheer: Above the Fold is an ideal teaching tool for courses that examine journalism, politics, and the hypercommercialization of media. Features Norman Lear, Jane Fonda, Arianna Huffington, Daniel Ellsberg, and others. "An inspiring portrait of a great American."